Dr. Jerry Lushington, specializing in Diagnostic Radiology, has a medical practice experience of 30 years. He graduated from the University of South Alabama Medical College, where he also completed his residency. During the formative years of his career, Dr. Lushington did an internship as well, at the Caraway Methodist Medical Center. 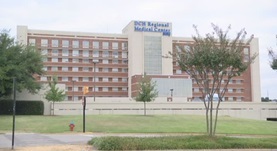 At the time, he is affiliated with the DCH Regional Medical Center in Alabama. Dr. Jerry Lushington also partakes in the Medicare Physician Quality Reporting System Incentive Program. Cigna, Medicaid, and UnitedHealthcare are only a few of the various insurance plans he accepts.